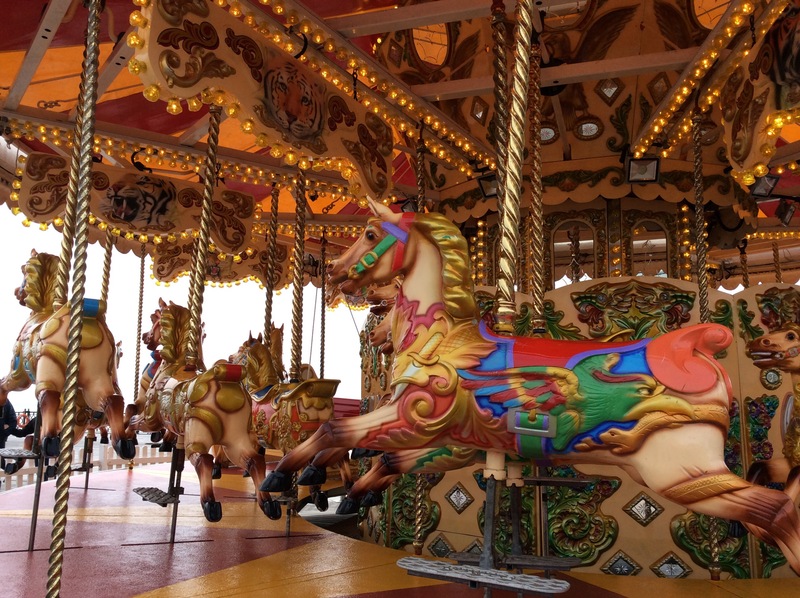 This carousel (see photo) is particularly special, it has a new and permanent home on Hastings Pier, East Sussex, also known as the ‘1066‘ county, in England. The original pier was built in 1872; it was the marvellous work of architect genius Eugenius (yes, real name) Birch using the screw-pile technique, an engineering feat of Victorian proportion. It has weathered many storms and given immeasurable joy to the town and to seaside visitors; pier promenading being a classic attraction. In 2010 a fire destroyed many parts of the pier, but now after 6 years of strong community spirit and sheer determination, and a good deal of cash…donated by the townspeople and matched by the National Lottery Fund (no government grants were given)… the pier is back for the future in 21st century fashion offering a new kind of ‘fun’fair. There is an open-air cinema, presenting the original films ‘Jaws‘ & ‘Star Wars‘ – perfect for out at sea and under the stars. There is a sold-out ‘Madness‘ concert mid-May; if not booked on the pier you’ll be able to rock about on the beach and for miles around. From 10am – 10pm you can eat, drink and be merry; ride, swing and relax; dance, dawdle and stroll. 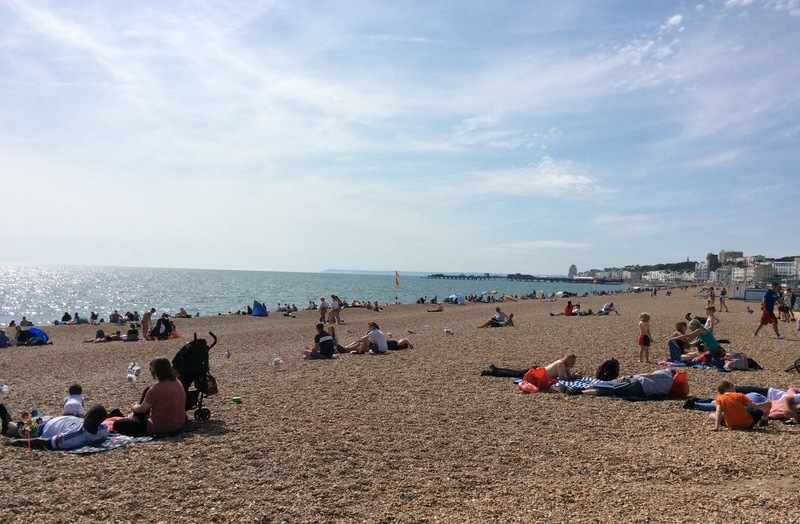 The People’s Pleasure Pier of Hastings 2016 awaits…roll up and roll on summer!